“This is my personal journey of surviving a life threatening illness. Millions of children around the world suffer from leukemia. I am not alone in this fight.” Lara Berkmen, is a 13 year old girl who lives in Fairfield, CT and was diagnosed with an aggressive form of AML (Acute Myelogenous Leukemia), in September, 2012. After 4 rounds of chemotherapy, doctors decided that she needs a bone marrow transplant in order to get rid of the leukemic cells in her body. She loves reading, writing, swimming, playing instruments, and is being recognized for her efforts and natural talents. 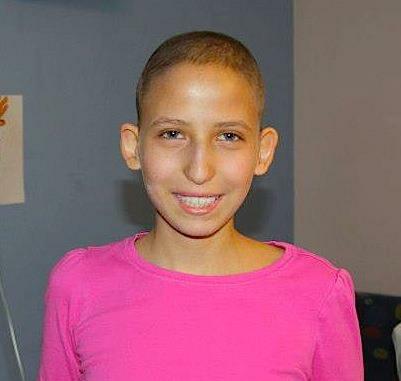 Family, friends and our community are working together to help Lara and other patients in need. Together with The Icla da Silva Foundation, they have created a bone marrow drive event to reach out to the friends and community, to educate them about Bone Marrow Donation. Even though she was born in the US, due to her parent's back ground (Turkish), Lara’s family is aware that many of us, have mixed ancestry due to our expulsions and migrations throughout Europe for centuries, but our blood carries our genetic code and maybe one of us could save the life of a patient like Lara. Please take a few minutes and come to the bone marrow drive on March 4th, 2013 from 11:00AM to 2:00PM at the Fauchi Building, 31-00 47th Avenue, 2nd Floor, Long Island City, NY, 11101. In order to become a bone marrow donor, you need to be in good general health and between the ages of 18-44. The registration process is simple, you will be asked to fill out a form and take a cheek swab test. Registration is free of cost but donations of any size are welcome. It costs The Icla da Silva Foundation $100 to register each new donor. For more information about The Icla da Silva Foundation please visit their web page www.icla.org. You could be the one to save a life!